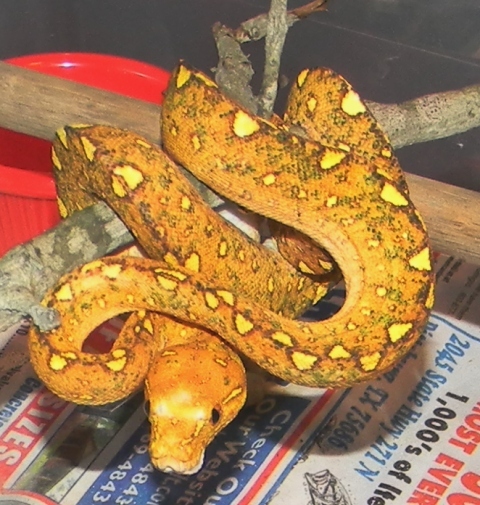 Coloration and pattern of neonate GTP's can at times be quite misleading. I've held back a number of these little jewels over the years thinking that this "might be the one", only to find myself looking at a somewhat ordinary looking GTP at adulthood. As for me, I'd go with the red neonate from the Aru x Biak mixture. I'll post a pic of a 2 year old I held back from such a pairing in 2013. This particular animal has a ton of white specks, (thanks to the Aru), and is still undergoing it's ontogenic color change. (Biaks take forever for this to complete). Sorry for the late post to your question. I don't check the forums as often as I should. Good luck with your choice. GTP's are wonderful creatures no matter what "flavor" you choose! !